Goshen School District and under two hundred fifty thousand. Looking? 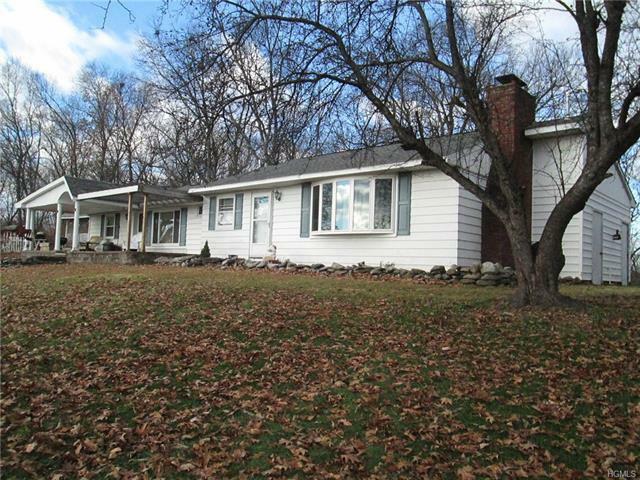 Let&apos;s talk about this private and move in ready ranch home which is nicely situated on just over two acres overlooking small pond. Morning coffee Sunrises and evening wine sunsets can be enjoyed from covered porch just off the eat in kitchen. Sun soaked spaciousness. Entertaining center island with outstanding counter spaces. Fireplace and hardwood floors make the living room a comfortable and classy space. Three bedrooms. Two full baths. Master with private bath seldom found at this price point. Nice three season room just off kitchen. 3 minutes to train. 10 to bus, shops and schools. New windows, appliances, updated electric and more make this a great value!